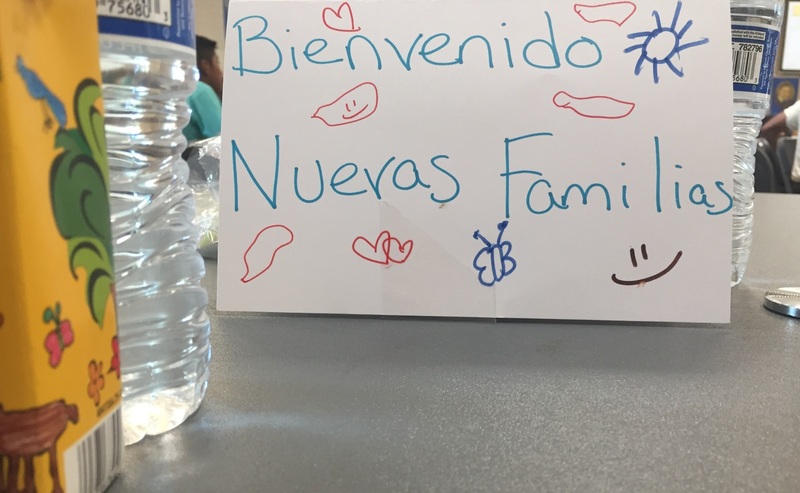 St. Vincent de Paul on Tuesday kicked off a daily drill to welcome migrant families at one of their Phoenix locations. Before lunchtime, 100 migrant parents and their children arrived at the building entrance, enveloped with the sweet scent of jasmine shrubs. Warm meals of roasted chicken, yellow rice and beans were ready for them. Berg said nobody from their day-to-day work, which mostly includes homeless people and poor families, will be turned away or displaced to accommodate the migrant families. The non-profit is operating its “day release center” in partnership with churches and community organizations like the International Rescue Committee — a refugee resettlement agency in Phoenix — and the Phoenix Restoration Project, a network of volunteers who for years have supported migrants released from federal detention. Their joint effort to run the new space comes as a several faith leaders have said their resources are strained after more than six months of work. Because the volunteer network was at capacity, ICE began to regularly drop families onto a sidewalk by a Greyhound bus station. “We have a space that’s safe, welcoming and healthy in ways that a bus station can’t be,” said International Rescue Committee spokesman Stanford Prescott. Since October, ICE has partnered with groups in Arizona to coordinate the release of thousands of migrant families, many of whom are seeking asylum. The families either crossed the border or went to a port of entry to seek protections. They spent several days in facilities with no beds or showers run by U.S. Customs and Border Protection. ICE releases all of the migrant families with scheduled immigration check-ins elsewhere in the country where they’ll stay with relatives. There, the migrants will begin an immigration court process of deportation or asylum. Prescott said several groups have worked for months to execute a “scale up” of their assistance to migrant families. The goal is to curb the need for ICE to drop off the fathers, mothers, teens, children and babies on the street. At the St. Vincent de Paul day center, volunteers helped the families make travel arrangements and phone calls. Medics and a lawyer were available, too, Prescott said. Some were given rides to the bus station or airport, while most of the others stayed overnight in homes or churches. The groups requested the location of the center not be specified for safety concerns. The organizations did a test-run of the day release center Friday with about 130 people, KJZZ reported. Prescott said they’ll continue the work “as long as there’s a need” but he is expecting the flow of migrant families flows arriving at the border to slow down in the summer. The number of migrant family members arrested by Border Patrol between October and February already surpassed the total figure of families apprehended in Fiscal Year 2018, CBP data shows. Children are becoming the “fastest rising cohort” of border arrests, The Washington Post reported.